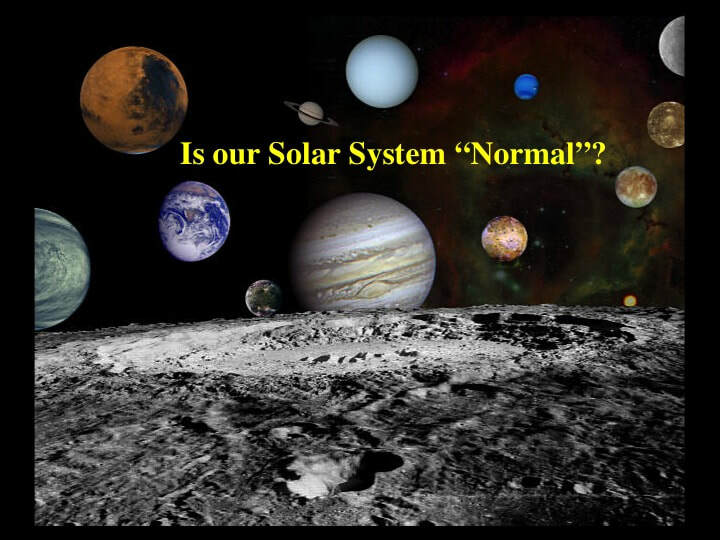 Is our Solar System - and the Earth within it - normal ? #1 : Is our planet really representative of a habitable world in a planetary system ? Is it a blueprint, or is it a special case ? #2 : Is our seemingly tranquil and stable Solar System really representative of planetary evolution ? Again, is it a blueprint, or is it a special case ? #3 : Is our galaxy representative of galactic environments within the universe as we know it ? Let’s start with the big picture question first … and then close in on our home planet. 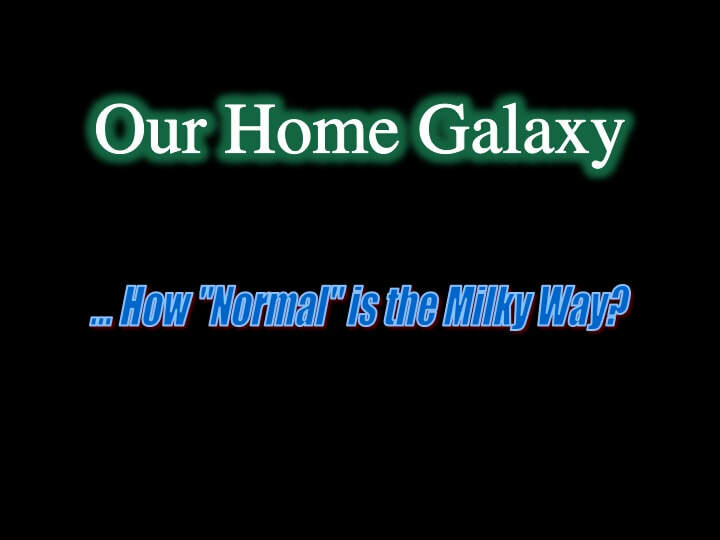 So … how "normal" is the Milky Way? This is a fundamental question to be asking because galaxies provide the first order environments in which planetary systems evolve. Our galaxy is a pretty quiet backwater by galactic standards. It’s a large multi-armed barred spiral with a supermassive black hole at its centre, but luckily for us that black hole is not very active – at least for now. However, many other galaxies have extremely active galactic centres that generate copious amounts of gamma rays, x-rays, cosmic rays, and ultraviolet light - none of which bodes well for a habitable planet. ​Many galaxies are seen to be interacting with their neighbours. In fact cosmologists tell us that this is how galaxies grow and evolve. Currently, our galaxy is quietly digesting a number of dwarf galaxies that it assimilated several billion years in the past, though it won’t interact in any material way with the giant Andromeda Galaxy next door for a few billion year into the future. So - here we are - thinking about this at just the right Goldilocks moment in our galaxy’s existence. By the way : when galaxies interact, the resulting fireworks are not so much due to stars colliding like billiard balls, it’s the exchange of inter-stellar gas that gives rise to a burst of new star formation ... and the release of all the radiation associated with that, which could make things a tad uncomfortable for potentially habitable planets in the vicinity. That burst of star formation can go on for quite a long time after galactic interaction, as can be seen in this well known image of M82, long after it’s thought to have had a close call with its neighbour M81. So my take-home message on galaxies is this : If you had to choose a galaxy to live in, I’d highly recommend staying put - right where you are in the Milky Way ! However, just how much do we know about what goes on in the Milky Way ? Especially with regard to what’s happening around stars other than our own Sun ? Until very recently, this was the standard astronomical model for the formation of planetary systems. Basically, a rotating cloud of gas and dust flattened into a proto-planetary disk around a central star, all of which then evolved by various predictable processes into a planetary system looking very much like our Solar System. This planetary system model has been illustrated many times from many perspectives. Note where a “Jupiter” clone is located in this artist’s impression – exactly where it should be chez-nous ! But just how much of our own galaxy have we actually examined for exo-planetary systemsv? Well, it turns out to be a pretty small sample at the galactic scale. However, even within that small sample astronomers have made some interesting discoveries. At the galactic scale, astronomers already know that many stars – perhaps most –are binary systems of two stars orbiting each other. In addition to planets around single stars, now they’ve discovered a planetary system orbiting a double star : a circum-binary planetary system. Planetary climates in such a system would be - well - crazy. There would be huge short-term temperature changes as the stars themselves eclipsed each other, such that a potentially habitable planet would feel like it had seen summer through winter many times during a single planetary orbit. Then it turns out that many exo-planetary systems are crowded-in really close to their central stars - and I mean crowded ! Look at this real example with 5 planets squeezed into the equivalent orbital radius to that of Mercury in our own Solar System. By various feats of scientific excellence, astronomers can now determine the size, mass and therefore the density of exo-planets, and it turns out that in numerous examples of exo-planetary systems, not only are the planets crowded close to their central star, some of the closest are the size and make-up of Jupiter - or even bigger. The model of planet formation – which I do not fundamentally question, and will discuss in a few minutes – makes it absolutely clear that these “Hot Jupiters” must have formed much further away from their central stars. So, they have migrated inwards. In so doing, they would have eliminated all planets that had formed in the inner part of the planetary system, either by driving them into the central star – or by booting them out of the planetary system and into inter-stellar space. Such orphaned or “rogue” planets have been detected roaming between the stars, by the way. All I can say is - thank goodness Jupiter stayed where it is ... or did it ? - more on that later ! Astronomers have also determined that – unlike our own Solar System - many (most?) exo-planetary orbits do not lie close to the equatorial plane of the central star (the ecliptic plane that the planetary orbits of our Solar System approximate to). 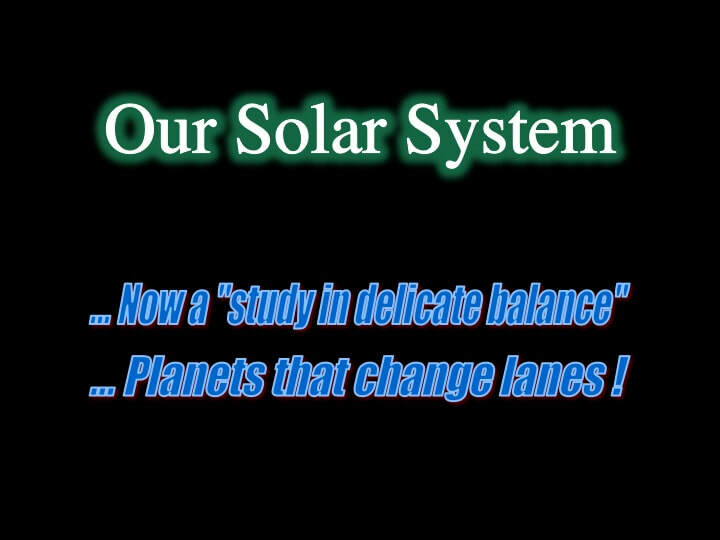 Worse, as opposed to our Solar System where all planets orbit the Sun in the same sense that the Sun spins on its own axis, some exo-planets rotate in the opposite direction. That is to say that they have retrograde orbits, but there’s as yet no consensus as to why. However , one obvious possibility would be that they were captured from a close-passing star and its own planetary system. How’s that for unpredictable instability? Now, put this together and it turns out that crowded, non-equatorial, retrograde orbits and close-in gas giants are to be expected - as opposed to being exceptional. They tend to be dynamically complex “swarms”. … and highly unstable, with giant planets playing “cuckoo” and booting potentially habitable inner planets out of the “nest”. All of which now brings us to our own Solar System. From 15th-16th century Copernicus to about a few years ago, astronomers thought of our Solar System as the epitome of stability … little did they know ! But you can readily see why. All of the elements of our Solar System, approximately scaled for size - from planets to asteroids to comets – can be represented in an image such as this. However, this does not tell the story. This is a better representation - in as much as it emphasises the division of the Solar System into inner Rocky Planets and outer Gas and Ice Giants - but it too is lacking in accuracy. This image, while not scaled for distance, underscores the fundamental structure of our Solar System : small rocky planets in the interior – separated from Gas and Ice Giants in the outer parts by an asteroid belt between Mars and Jupiter - and all orbiting in the same direction (prograde) in the same (ecliptic) plane, equatorial to the Sun. It all looks so simple and orderly, doesn’t it ? The Sun evolved in the centre of the rotating nebula and the surrounding gas and dust developed into a proto-planetary disk. During the first 100 million years of Solar System history, planets grew in the proto-planetary disk by a process called “accretion”, for which there are various interpretations among astronomers - but we won’t go there just now - and because of the original rotation of the Solar Nebula (“angular momentum") all of the planets orbit the Sun in the same direction as the Sun rotates on its own axis. The Rocky Planets in the internal part of the Solar System – and most likely the rocky cores of the Gas and Ice Giants in the outer part of the Solar System – formed, at least in part, by the clumping together (or progressive accretion) of primitive components of the Solar Nebula, known as “chondrules”. These admittedly weird objects had chemical compositions that closely resembled that of the dust component of the Solar Nebula itself. Through a combination of heat generated by the accretion process itself - transforming the kinetic energy of moving material into heat - plus the breakdown of short-lived radioactive elements, the early planetoids heated, melted and differentiated into what we recognise today as Rocky Planets with Ni-rich metallic cores, thick rocky mantles rich in Fe and Mg, and thin rocky crusts rich in Si and Al. 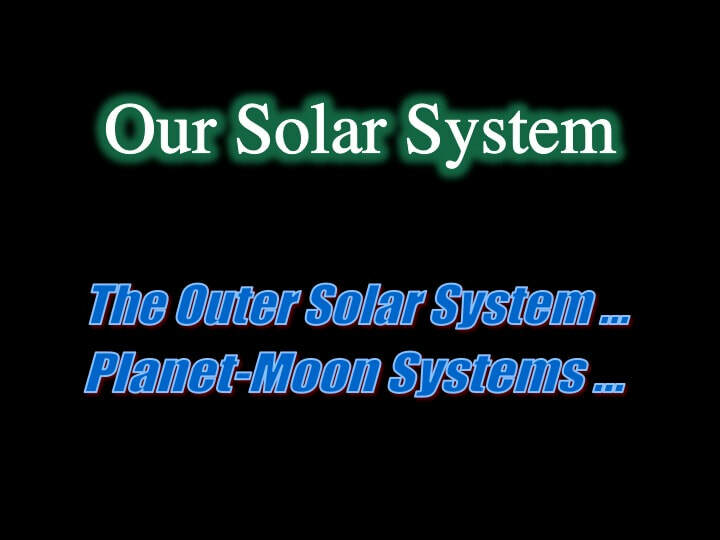 However, our Solar System includes more than just the Sun and its cortege of planets. The Sun and the major planets are embedded in a disk of comets, asteroids and “minor planets” – known as the Kuiper Belt - itself surrounded by a hollow sphere of mostly comet material, referred to as the Oort Cloud. The Oort Cloud extends about a quarter of the distance to the nearest star, so we’re talking just under a light year here in terms of radius. Keep this nested geometry in mind as we’ll return to it shortly when we look at how the Solar System evolved in its early years. I mentioned minor planets. These of course are the mostly spherical objects that were so important in the recent and controversial demotion of Pluto from major planet to minor planet status. That’s an on-going debate that I’m not going to get into here. It’s best discussed over a glass of whatever does you good and keeps you mellow ! Well, until a few years ago, that’s pretty much where the standard model of the formation of planetary systems ended, apart from a slight “complication” at about 4 Ga when a whole load of collisional impacts occurred throughout the Solar System, leaving planets and moons with the major surface scars (craters and multi-rings basins) that we can observe today - but I’ll explain that in just a minute. Suffice it to say for now that this well known “complication” was perhaps the first sign that our Solar System has had an exceptionally dynamic past and – as it turns out – that deviations from the standard model include things going backwards, as well as inwards and outwards ... and planets that switch their orbits ! In short, the current model for our Solar System has become rather complicated … and this is what we’re going to look at now. First : the Late Heavy Bombardment at about 4.0-3.8 billion years ago when planets and moons throughout the Solar System were pummelled by massive asteroid and comet impacts : why did it start so late ? - ~ 700 Ma after planetary accretion was over - and why did it stop ? Second : theoretically Mars should have grown to about the same size as Earth and Venus (Mercury is another story) : why is Mars so small, and what stopped it from growing bigger ? Third : the asteroid belt is made of more or less primitive accretionary debris that never got it together to make a planet : why is the asteroid belt zoned with drier material in the inner part of the belt and wetter material in the outer part ? In the beginning - about 4.5 billion years ago, while the planets were still forming - Jupiter migrated toward the central star of our Solar System, probably because left-over material in the solar nebula was slowing its orbital speed through friction. 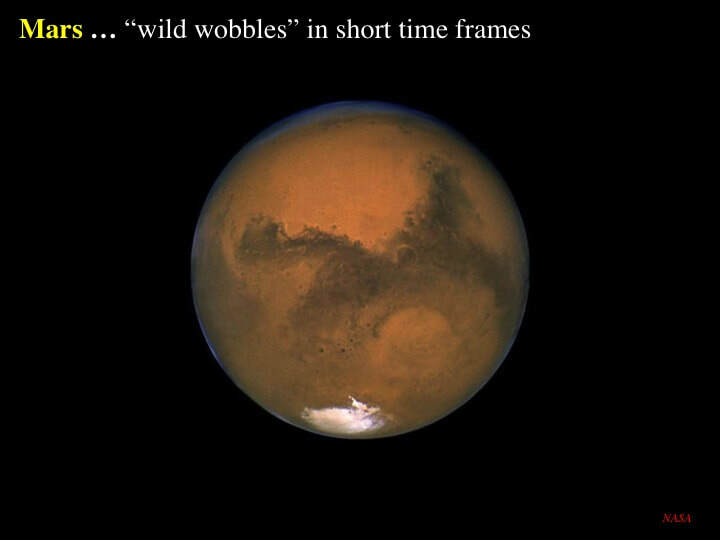 As it did so, it interacted “gravitationally” with the accretionary material that was feeding the growth of Mars, booting that material out of the martian orbit and thereby stunting martian growth. Observations of exo-planetary systems would have predicted that Jupiter’s inward migration would have continued to within the orbit of Mercury, but things didn’t play out that way. Instead, something remarkable happened that made Jupiter turn around and migrate outwards again. According to the computer modelling, the remarkable event was that Saturn also migrated in toward the Sun, caught up with Jupiter and developed a 2:3 orbital resonance with Jupiter : meaning that Saturn orbited the Sun twice for every three orbits made by Jupiter. Planetary physicists tell us that this not only slowed Jupiter’s inward migration, it sent both Jupiter and Saturn migrating away from the Sun. Through a rather loose sailing analogy, this part of the model of planetary migration is known as the “Grand Tack”. What comes next is still a little fuzzy, but around about 700 Ma later at about 3.9 billion years ago the orbital resonance of Jupiter and Saturn evolved from 2:3 to 2:5 : meaning that Saturn now orbits the Sun twice for every five orbits made by Jupiter. In order to accomplish this, Jupiter and Saturn now migrated even further from the Sun. Well, guess what Uranus and Neptune made of all this gas giant planetary migration - they migrated outward too ! In so doing, they encroached on the comets, asteroids and minor planets of the Kuiper Belt and the Oort Cloud and - as you can imagine - all hell broke loose. All kinds of Kuiper and Oort materials were flung into both inter-stellar space and into the Solar System itself, leading to the Late Heavy Bombardment 3.9-3.8 billion years ago. Pretty much by definition, all disturbances are transient, and when this one was over, the Late Heavy Bombardment had gradually petered out by about 3.5 billion years ago. However, during the outward migration of the Gas and Ice Giants, something astonishing happened : Uranus and Neptune crossed over each other and swapped orbits. This part of the model of planetary migration is known as the “Nice model”. In addition to explaining the size of Mars and the timing of the Late Heavy Bombardment, all the tossing of interplanetary accretionary debris and comet-like material inwards and outwards that is predicted by the model leads very neatly to the zoning of the asteroid belt in terms of wet vs dry asteroids. Very neat indeed … ! Now stop for a moment and consider the significance of this “concertina-style” model of the Solar System, because this is going to be the take-home message for our Solar System as a planetary system. 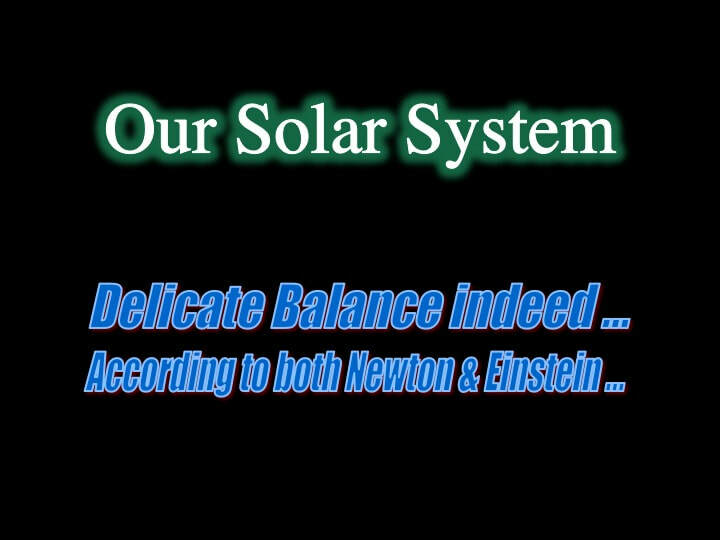 Both Isaac Newton and Albert Einstein agreed that two bodies orbiting a third - and interacting gravitationally - represent an inherently unstable system. This is the classical three body problem. To be blunt : wait long enough and it’ll come apart at the seams. Yet here we have 8 major planets orbiting the Sun, the outer part of the Solar System behaves like an accordion, initially contracting, then expanding, with some pretty large pieces of astro real estate being flung into the interior of the Solar System if we are to judge by the size of some of the lunar impact basins ... and yet the entire system hangs together – more or less in the same orbital plane – in almost circular orbits for a further 4 billion years. If that is not exceptional – remarkable - I don’t know what is ! … its multiple moons follow what are called prograde orbits – moving in the same direction as the planet spins – in a plane parallel to the planet’s equatorial plane. The most likely reason for their anomalous orientation within the Solar System is a collision with something really big that knocked the planet over - permanently. Yet another possible cause of unpredictable instability that failed to disrupt the Solar System. Now while it’s true that life would certainly be simpler if all moon orbits really were prograde and equatorial, it just ain’t so ! Here’s a simplified representation of the orbital directions of Jupiter’s moons projected onto the planet’s equatorial plane. Blue orbits are prograde : in other words the moons orbit in the same sense as the planet spins on its axis (anti-clockwise as seen from above). 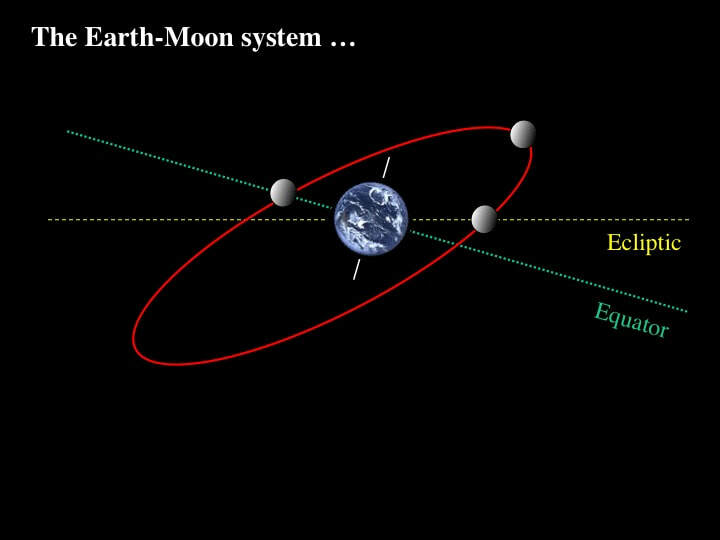 Red orbits are retrograde (the moons orbit in the opposite direction). Notice how the retrograde orbits are absent from the interior of the planet-moon system. Notice also that some orbital paths appear to cross over others, but that’s more apparent than real if we look at this in 3D. Here you see Jupiter, moving around the Sun on its own orbital path (red), surrounded by a swarm of 64 moons - many of which have highly inclined orbits. The retrograde moons were likely formed elsewhere in the Solar System and later captured by the planet. I’ve commonly read and heard the Jupiter-moon system compared to a mini-planetary system. Well if it is, it looks nothing like our own planetary system - although simplistic comparisons could be drawn with some exo-planetary systems. First : they are highly complex and look nothing like the old, simple “mini Solar System” model we probably learned about in school. Second : planet formation models tell us that in order to form these “hornet’s nest” moon systems around planets, the early Solar System must have been buzzing with planetoids and large asteroids going every-which-way. In summary, things must’ve been not far short of chaotic – at least as far as the small stuff was concerned. So, what about the planets themselves ? Using our growing knowledge of planetology and planetary geology within our own Solar Syste, let’s take a look at what’s “normal” about a planet. 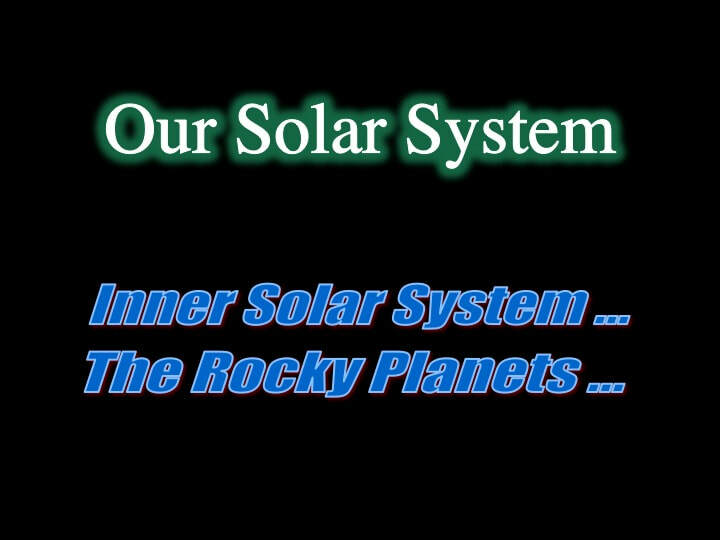 This pretty much means we focus here on the Rocky Planets of the inner Solar System, because we can’t see the insides of the Gas and Ice Giants : we can only make intelligent guesses. Venus and Earth are very similar in size and internal structure. The principal difference between them illustrated here simply reflects the fact that we can observe that Earth has an inner and an outer core - and that in the case of Venus, we’re not yet sure. Mars is significantly smaller in size, but its internal structure is not very different to that of its sister planets. So let’s start with the one we know best … Earth. Thanks to plate tectonics, Earth has continents that break-up and move apart in response to new ocean floor material being created at mid-ocean ridges and come together in slow-motion collisions in response to the sinking of old ocean floor back into the planet’s mantle. The sinking of ocean floor creates volcanic arcs such as the islands of Indonesia and the Andes of South America and colliding continents generate mountain chains such as the Alps or the Himalayas. Here’s a cartoon of spreading and sinking showing volcanic activity at both locations. This volcanic activity is what has allowed the Earth as a planet to cool continuously throughout geological time. Without this continuous cooling, Earth would look like Venus. Venus is a barren wasteland with an average surface temperature in the 400-500°C range Why ? Quite simply because it has no plate tectonics. Without the ability to cool as a planet, heat generated continuously by radioactive breakdown of elements builds up inside the planet. This has a number of dramatic consequences, the principal one of which is that the outer part of the planet’s mantle melts and erupts – completely resurfacing the planet. In the case of Venus, the low density of impact craters tells us that this happened quite recently geologically speaking - within the last 1 billion years. Massive, possibly catastrophic volcanism like this pumps enormous amounts of CO2 into the planet’s atmosphere - and we know what CO2 can do to atmospheric temperatures : they go up. Worse, if heat inside a planet cannot escape continuously, the dynamo inside the planet’s core that generates the planetary magnetic field stops (think “lava lamp”) - and without a magnetic field to protect it from the solar wind the planet will lose the lighter components of its atmosphere as the solar wind strips away hydrogen and oxygen, in other words water, as well as nitrogen (the principal component of Earth’s atmosphere), for example. In the case of Venus, there is a thick atmosphere surrounding the planet, but it is 99% CO2 and it’s ~90 times denser than our atmosphere on Earth – which is why it resists erosion by the solar wind. In case you’re wondering why Venus has no plate tectonics, it all comes down to water ! Venus isn’t just dry outside : it has no water inside either. Water has a remarkable effect on rocks. Even at very high temperatures - and with lots of geological time – without water in their chemical structure rocks are extremely stiff and cannot flow. If rocks can’t flow - and that includes the rocks that make up a planetary mantle - then plates can’t move, and the planet can’t cool. You’ll find a detailed examination of this issue that I presented over a decade ago here. 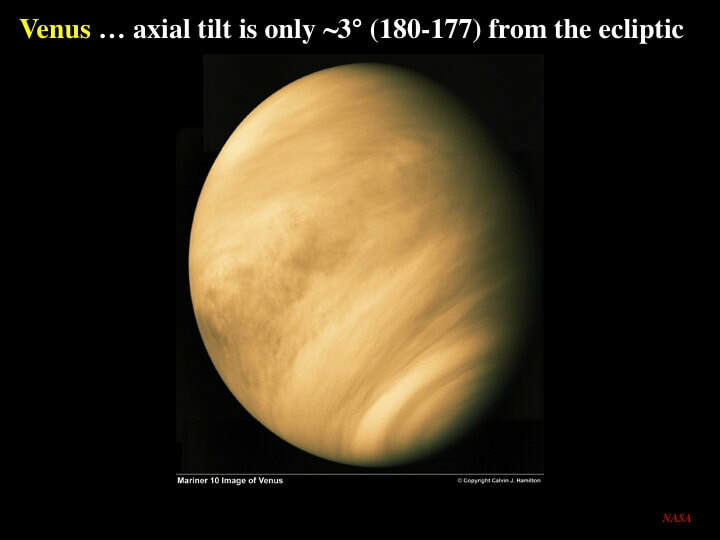 The question that planetary geologists are now asking about Venus is : "did it ever have enough water for plate tectonics in it’s early history - and if it did, how exactly did it lose it ?" One last oddity about Venus : it spins very slowly on its axis – taking 243 Earth days to complete one rotation - and it’s the only planet in the Solar System that rotates backwards ! There are all kinds of theories to explain this, but we don’t have time to get into them here. Instead, let me emphasise my take-home message that Venus may have been Earth’s twin once upon a time … but she certainly isn’t now ! As a planet, Mars doesn’t look much like Earth either. It’s about half the size for a start, having been “starved” during its early accretion - and because it’s small, it contained less radioactive material than the Earth, so it cooled quite rapidly. Martian rocks older than the Late Heavy Bombardment (~3.8 billion years ago) show signs of having been exposed to a planet-scale magnetic field, but younger rocks don’t – so we know that the martian dynamo in the planetary core had shut down by ~4 billion years ago. The consequences were dramatic : without the protection of its magnetic field, the martian atmosphere was stripped away by the solar wind – such that today it’s 90 times less dense than that of planet Earth. #1 : without water plus plate tectonics to allow an Earth-size or larger planet to cool continuously, the planet will overheat - and load its atmosphere with heavy CO2 that will turn its surface into an “oven”. #2 : such a planet will also lose its protective magnetic field because it over-heats internally, but a smaller planet will also lose its magnetic field early in its existence because it can’t make and retain enough heat for long enough – and therefore will lose it’s atmosphere forever. This last point is the primary reason why the science fiction concept of terra-forming barren planets like Mars will never be a realistic proposition. To round out our comparison of Rocky Planets, tiny Mercury seems to be the odd-planet out. Although only as big as Jupiter’s moon Callist, it is so dense that its Fe-Ni core must occupy 80% of the planet’s volume - potentially calling into question the universality of the standard model of planetary accretion and differentiation. So here’s the bad news : despite the new data from the MESSENGER probe currently orbiting the closest planet to the Sun, we still don’t have a clue as to how Mercury ended up like it did ! 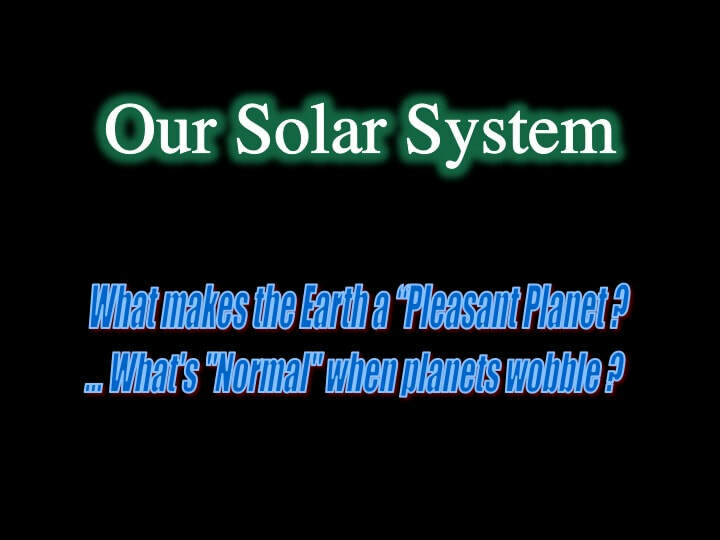 Now, let's look specifically at what makes the Earth the “pleasant planet” that it is, and to do this we have to look at how things that rotate - like planets - “wobble”. Or if you want to get technical about it : how they “precess”. 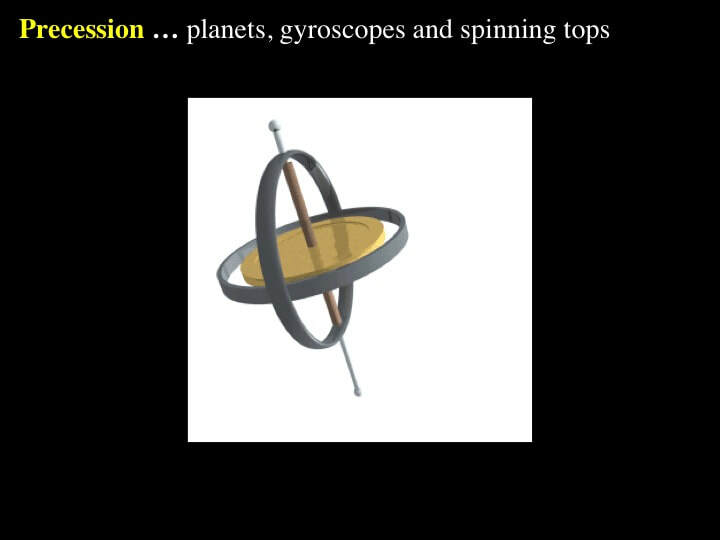 The concept of precession is best illustrated by reference to a gyroscope, or to a child’s spinning top. However, the same basic principles apply to planets too. In this example of a spinning gyroscope, the axis of rotation itself precesses as it describes a simple circle. The planet Earth does something very similar. 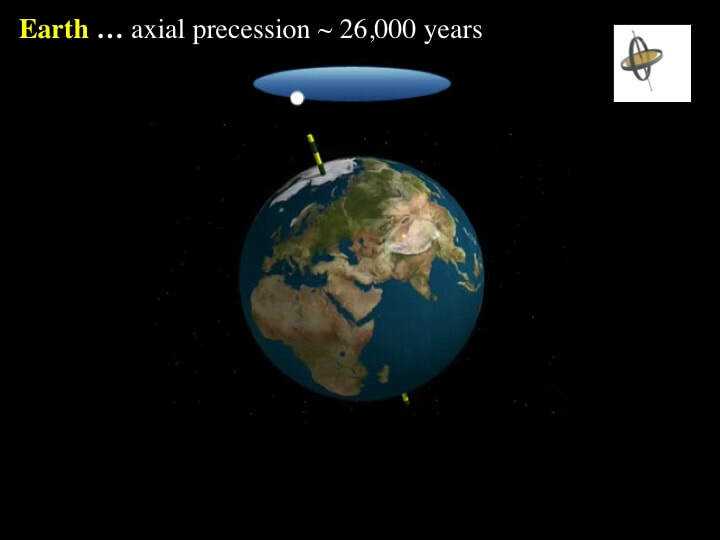 Over a period of about 26,000 years the rotation axis of the Earth precesses (or wobbles). Why is this important ? 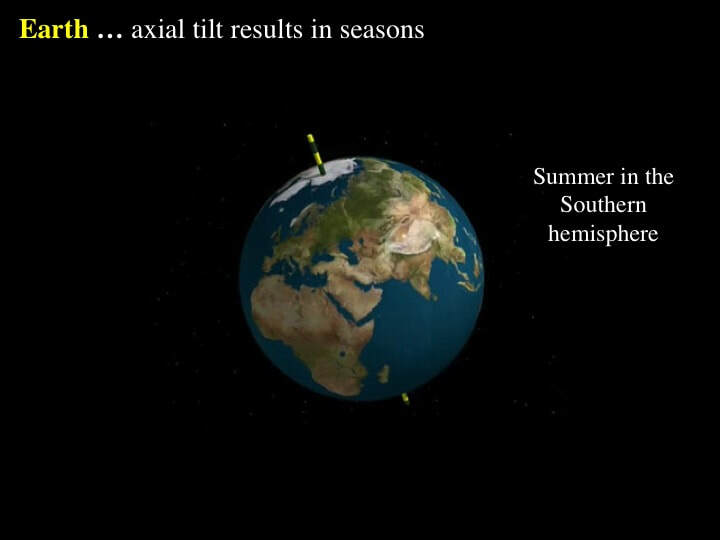 First : the tilt of the Earth’s axis with respect to the ecliptic plane of the Solar System – about 23.5° - is what produces the annual cycle of the seasons. For example, here you see the Earth’s axis tilted with respect to the Sun – which is off the screen to the right – such that more sunlight falls in the southern hemisphere, which experiences summer temperatures. Second : this is a very stable, long-term configuration on scale of 100’s of Ma (likely billions of years), which means that the climate zonation of the blue planet remains stable even if the climate itself changes over the shorter term. In other words – a new period of global glaciation, for example, will always start in the polar regions of the planet. Compare this with the behaviour of the martian spin axis that shows variations up to 60° - or more – over much shorter time frames of the order of 10 million to 100,000 years. You can imagine the impact that this has on long-term climate stability on the red planet ! For example, with enough extreme tilt of the planet’s rotation axis glaciation could start near the equator ! The rotation axis of Venus, despite the artistic camera angle shown here, is practically perpendicular to the ecliptic plane. In other words, “wobble” is not an issue here. However, remember, it’s formally upside-down – which adds yet another twist to the planet of love ! As for Mercury, it too is practically perpendicular to the ecliptic - with a rotation axis tilted at just 7°. First : life and the evolution of life as we know it requires long-term climatic stability. First : if you compare the size of each and every moon in our Solar System with the size of the planet that it orbits, you’ll find that our Moon is anomalously huge – relative to its host planet. Second : because it’s large – compared with its planet – it exerts an anomalously strong stabilising influence on the precessional behaviour of the Earth. #1 : recent evidence suggest there’s geologically significant water in the Moon’s interior that should not have survived this volatilisation event. #2 : recent analysis of Ti isotopes in lunar rock samples from the Apollo missions suggests that there was only one source - not two - thereby calling into question the whole concept of a “collider”. We’ll have to wait and see how these recent challenges to the “Moon-by-collision” model stand up to further scientific scrutiny. But there’s a third reason why I want to address this issue of tilt and precession. Astronomers are currently looking to find Earth-size rocky planets orbiting central stars in what is referred to as the “Habitable Zone”. This refers to a disk-like zone wherein liquid water is stable : in other words it neither boils off as steam nor freezes as ice at the planetary scale. They calculate the location and width of this zone principally from the size, temperature and brightness of the central star - and that’s it ! However, as we’ve just seen, the tilt of the axis of rotation and its stability is critical to the existence of a “pleasant planet”. In short, put an Earth-size rocky planet with zero tilt in the “Habitable Zone” and it may not have a stable atmosphere : hardly “habitable” if you ask me ! Alternatively, put a precessing tilted planet in the “habitable” zone without an anomalously oversize moon to stabilise it and see what kind of long-range climate you end up with ! Let me emphasise - the Earth is not a “Goldilocks” planet (not too hot, not too cold) just because it sits in the Sun’s “Habitable Zone”. 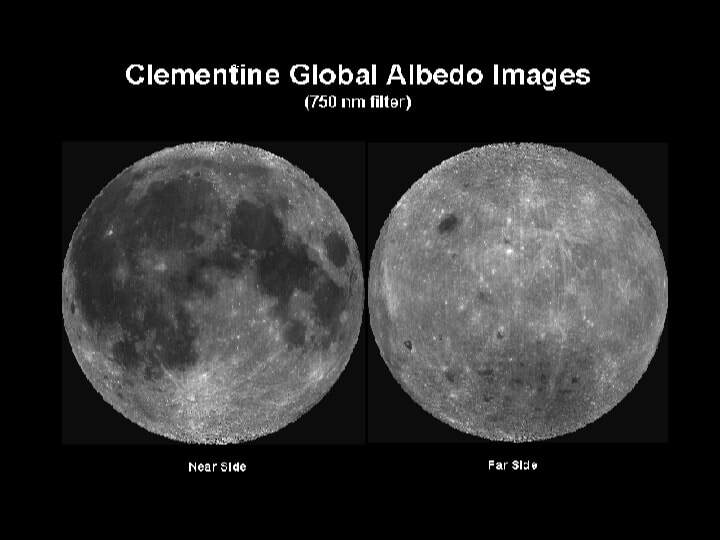 its precessing tilt - stabilised by our Moon (however the Moon formed) – is an essential component. #1 : is our galaxy representative of galactic environments within the universe as we know it ? #2 : is our seemingly tranquil and stable Solar System really representative of planetary evolution ? Is it a blueprint or is it a special case ? #3 : is our planet really representative of a habitable world in a planetary system ? Again, is it a blueprint or is it a special case ? #1 : is our galaxy representative of galactic environments within the universe as we know it ? Well, there are billions of galaxies, and many of them are or have been in some form of turmoil or another. However, there are many pleasant galaxies – even large spiral galaxies - just like our own, that appear to have enjoyed extended periods of calm and quiet and would be quite capable of providing a suitable environment for a “pleasant planet” such as the Earth to develop. So, let me rephrase my question slightly : is our galaxy weird or special in some way; is it a rare occurrence ? The answer is clearly no - our galaxy is pretty normal, as barred spirals go. Our planets follow near circular, prograde, near-concentric orbits in a common plane – many exo-planetary systems don’t look anything like this. 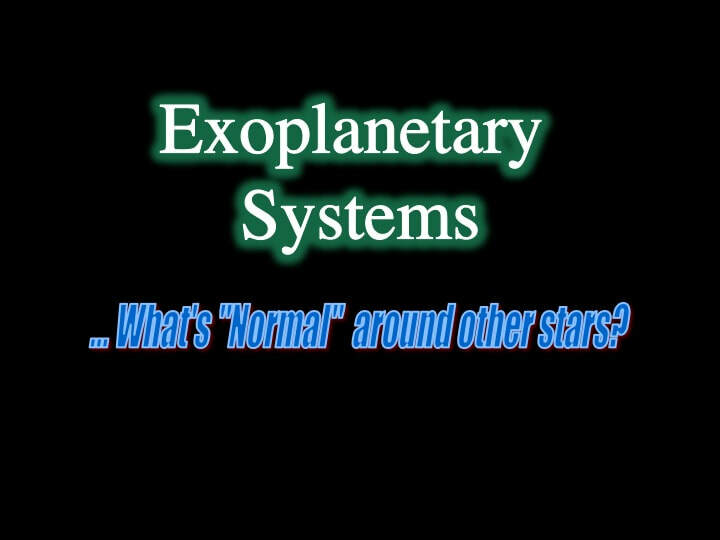 Our planets are comfortably spaced – many exo-planetary systems are crowded around the central star. Our planets are systematically distributed with smaller rocky planets closest to the Sun and Gas and Ice Giants further out – newly discovered exo-planetary systems are showing that this is not universal. Many exo-planetary systems show evidence for disruption as Gas Giants migrated inwards and eliminated the inner planets – Jupiter began to do the same, but got dragged back outward again by Saturn. the subsequent outward migration of all the Gas and Ice Giants - and the resulting Late Heavy Bombardment when everything went every-which-way as the Kuiper Belt got stirred up. Uranus getting bowled over on its side – probably by a massive interplanetary collision. … and Uranus and Neptune switching orbits. 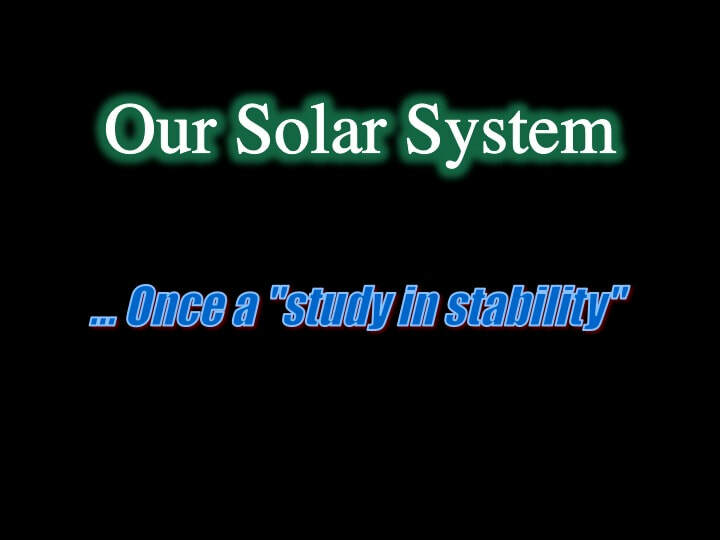 … our Solar System has remained stable for over 4.5 billion years. I have to conclude that no, our Solar System is not “normal” – it is certainly very special ! which on Earth is provided by plate tectonics. which Earth has thanks to its size (cf. Mars) plus plate tectonics (cf. Venus). and a mechanism to guarantee the long term stability of that tilt for 100s of millions - perhaps billions of years - even as it “wobbles”, or precesses. So no - I don’t think we can say that the Earth is “normal”. There are a lot of very special conditions that go to make up our place in our Solar System, and the place of our Solar System in our galaxy. Finally - is the Earth unique as a planet ? In light of the billions of stars in our own galaxy and the billions of galaxies estimated to populate the visible universe, it would be unscientific to claim that similarly special circumstances could not combine to create a similarly “pleasant planet” somewhere else ... be it in our galaxy or beyond. However - and this is something I wish professional astronomers would be more explicit about when they are discussing this topic in the media - I do think that we can conclude that planets resembling the Earth do not occur in every nook and cranny of the galaxy. Nature doesn’t make ‘em like that just any old how – any old where ! So my final take-home message is this : astronomically speaking, the Earth is probably not unique - but it is very, very special !